Here are some reflections by Stef after Monday’s Council meeting. Wow! It feels almost surreal to have become the latest councillor to represent the ward of Headington. I came to Oxford from South Africa in 2002. I have worked in its hospitals and for the University. I have watched my children grow up in its schools. Now I get to give back to the City that has become my home. To become a councillor is not something I would have anticipated a year ago but I feel amazingly privileged to have been given this opportunity. The last week has seemed like a whirlwind of activity. In the last few days canvassing, I was able to meet more of Headington’s residents who were new to me, as well as many residents who have become to seem more like old friends. The count was both exciting yet nerve-racking. However to have received such a large endorsement from the residents of Headington was humbling. 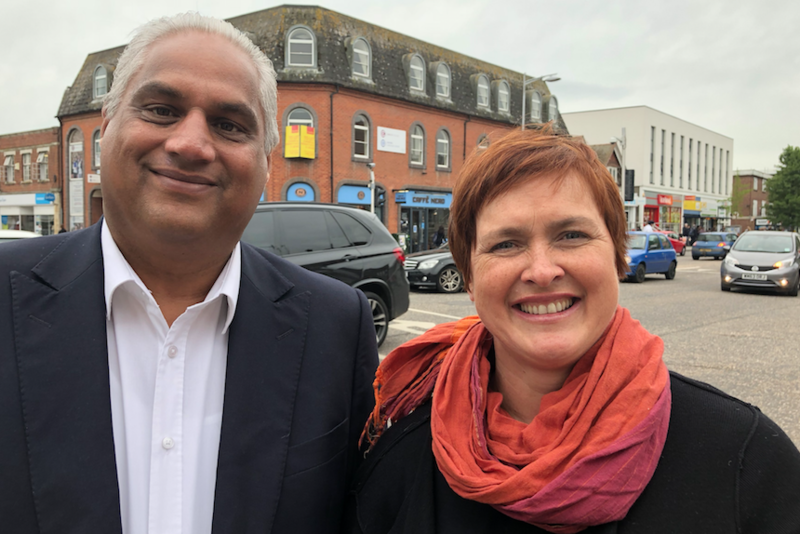 I promise to return your faith to me by working hard for everyone in the ward – just as you have grown to expect from your Headington councillors Ruth, Roz and Altaf. There has been little time to relax, with a Council induction session on Friday and a briefing on the Members’ Code of Conduct on Monday. On Monday 23rd July I signed the Declaration of Office and then attended my first Full Council meeting. I couldn’t have been prouder as it’s such an honour to represent the people of Headington. On Monday night, the Liberal Democrats put forward motions on improved eco-standards in new buildings and on greater support for the homeless (the unconfirmed minutes will be made available shortly on the City Council’s meetings web page). With the current hot, dry summer, it felt appropriate that Oxford City Council should try and ensure that our desperately needed new homes be greener than ever. It was good to have strong support from the Green Party and, once Labour had made some minor amendments this motion was voted through by the Council. Less successful was our motion to provide more support for the homeless. We tried to offer innovative and radical ideas that have seen success in other areas. We cannot continue to provide homes only by using traditional standard types of housing. New ideas are needed and as a council I feel we must take responsibility for promoting some of the better plans put forward, such as the student architecture designs by Oxford Brookes University made in partnership with the Crisis homeless support charity. At times in the debate it felt like Labour would rather see people going without a home than try something new, seeing these as “a gimmick”. They seem to have a somewhat conservative approach to solving our homelessness and housing crises, as was shown by their wrecking amendments which we could not support. I hope we will successfully challenge their approach in future. Much more encouraging was the cross-party support for the City of Oxford for a People’s Vote. Clearly this motion was always going to be unreservedly supportive by the Liberal Democrat Group. This was an issue that people brought up time and time again across Headington in the May election as well as during the by-election. Most Labour councillors defied their central Party and should be commended for placing the people of Oxford above Party politics. This vote reflected our City’s attachment to Europe and the knowledge of how bad Brexit will be for us. I do so hope the City-wide support for a People’s Vote is now brought up in Parliament by our two MPs. As this Council meeting was so close to the by-election, I had no opportunity to submit questions to the executive board members. However it became clear very quickly what a challenge it is to sit on the opposition benches when Labour has such an overwhelming majority. Labour is stuck very much in the past as it continues to attack the Coalition government rather than move with the times. I would like to think that we should all be trying to build an Oxford for the future, for all its citizens, regardless of their background, not trying to score points from the past. Once again thank you to all of you for your support. I promise to work hard for the future of our City, especially Headington and its residents.